I am very slowly trying to put our office space / homework station together in the 5th bedroom off the mudroom. This room used to be the guest bedroom, and several months ago we decided to turn it into an office with two desks and storage. This is one of my favorite spaces in our home. It gets bright light, and has two pretty windows that look out into the backyard. This is where I keep my computer, pay bills, blog, drink my coffee in the morning as I catch up on email and plan out our day. This is also where the kids work on art projects, color, do puzzles, and work on school work (mean mom over here who still makes them do work in the summer!). Things are starting to come together. I still need to get a rug and some new desk lamps and do a bit more styling, but for now, I am happy with the progress. I just finished covering a pinboard that now hangs above my desk that I wanted to share with you. 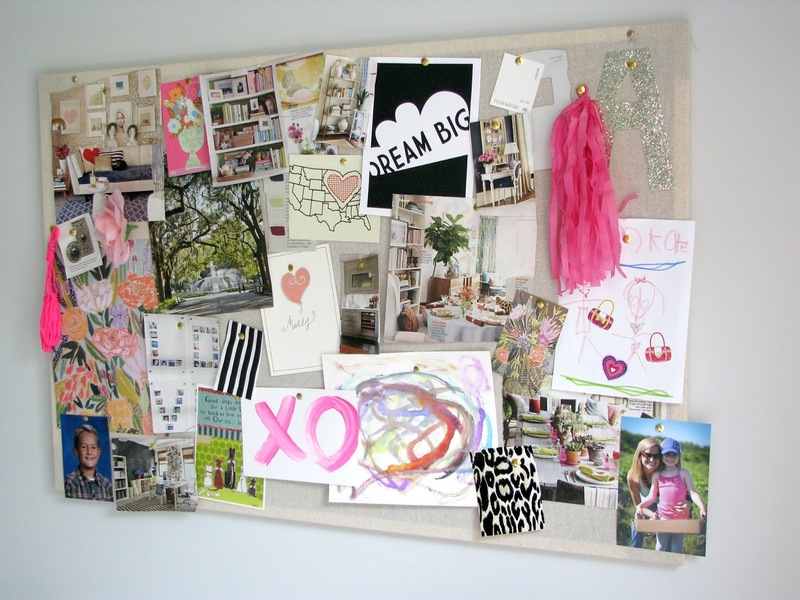 For this project, I started with a pinboard that I found at a thrift store for $5. It is large, 2 ft by 3 ft in size. The board looked like it belonged in a school, with a black background and silver trim. I originally thought I would just leave the black and paint the edge white. I tried that and still didn't love it. I knew I just needed to cover it in fabric to soften it. After doing some research and looking at many photos online, I found myself being very drawn to a neutral backdrop with lots of color on the board. I went with a cheap canvas material because I knew very little of the fabric would actually show once I filled up the board. I purchased one yard for this size and stapled the fabric to the back using my staple gun. The board and trim were all one piece, so I wrapped the entire surface of the board. Between the $5 board and the $4 fabric, this project came in cheap and easy! I love the impact and color it brings to the space! 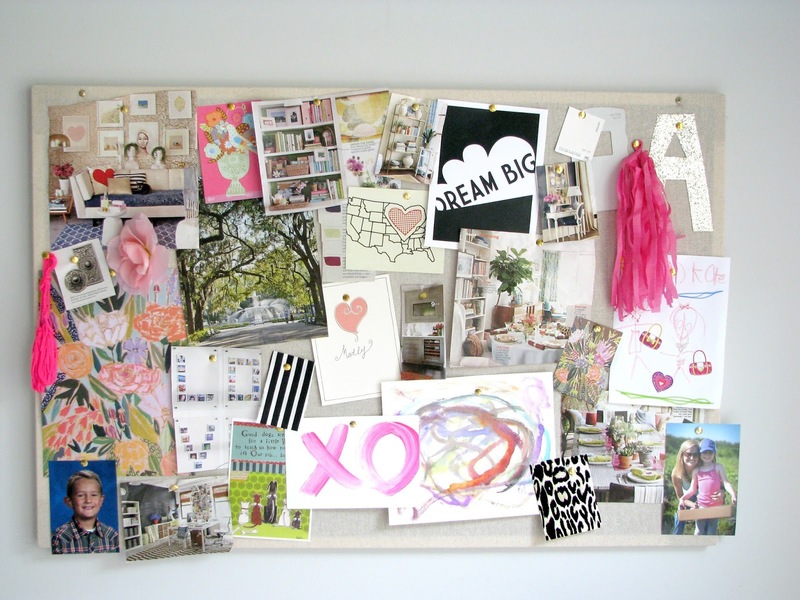 I use shiny gold thumb tacks from Dollar Tree to pin things to the board and keep that part of it cohesive. 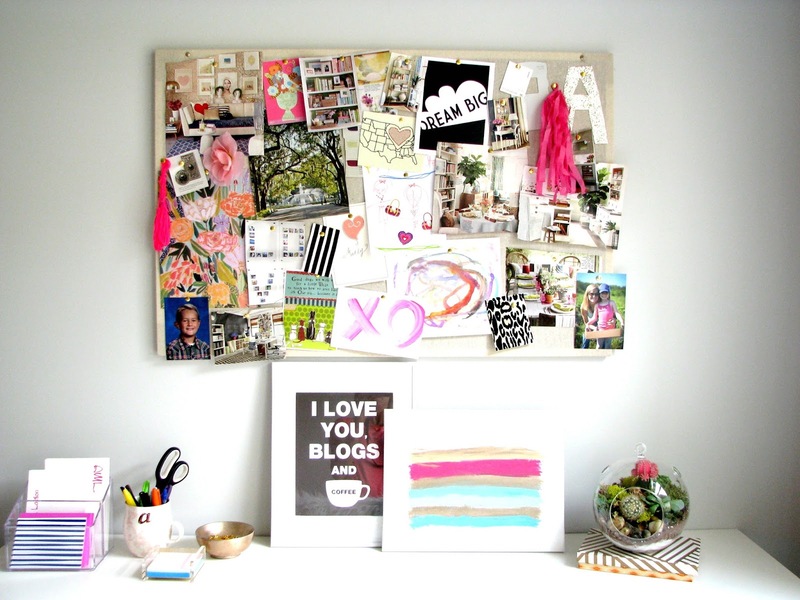 I wish my bulletin board looked that good! Seriously, love it! 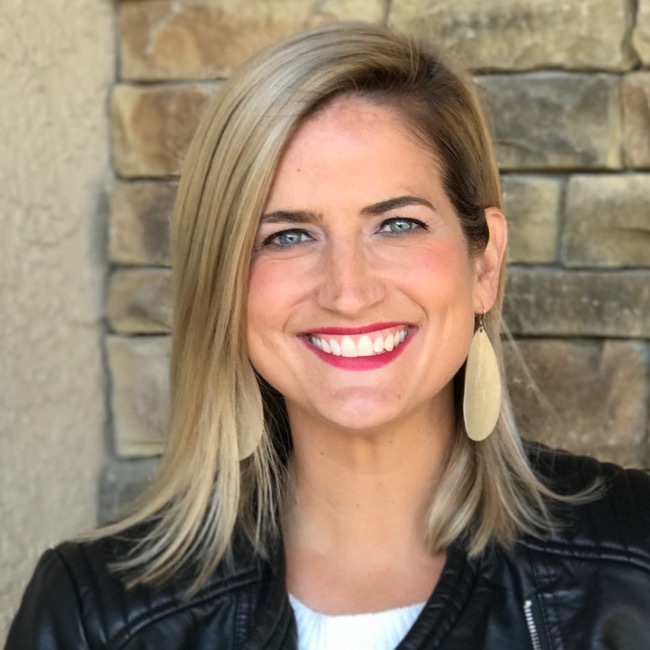 Thanks for linking up to the DIY'ers! Love a good thrift store bargain! Can't beat the size! This is lovely! It's nice to have actual physical images for inspiration instead of just digital stuff. I still love to look at magazines and rip the pages out for inspiration!! This looks gorgeous! I'm thinking I may need something like this now! Thanks Sarah! 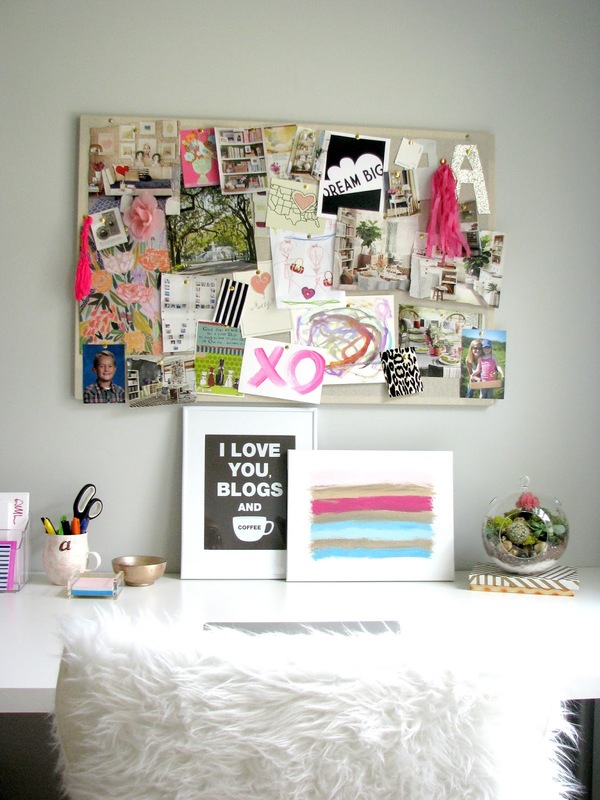 Your new craft room looks great, and love the pin board! !